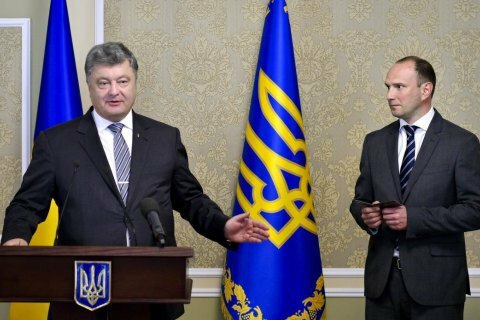 The Foreign Intelligence Service and the Foreign Ministry of Ukraine have taken the British model of cooperation between the Foreign Office and the Secret Intelligence Service (Mi-6) as an example. "To further strengthen this institutional cooperation, the law 'On diplomatic service' provides that diplomats can be sent on an attachment to the Foreign Intelligence Service for a certain period of time. And the other way around. This is the model of the British diplomatic service and Mi-6," the state secretary of the Ukrainian Foreign Ministry, Andriy Zayats, said in an exclusive interview with LB.ua. He praised this kind of cooperation for giving practical, clear and specific results. He confirmed that the appointment of a diplomat as head of the Foreign Intelligence Service facilitates cooperation between the offices. "This fully corresponds to the reality. Yehor Valeriyovych Bozhko's work as head of the Foreign Intelligence Service – I can confirm this indeed – ensures very close cooperation between the foreign policy and intelligence offices. Although we have different functions and methods of work, we both work on the foreign political front," Zayats said.